Apartments at the site could be rented out to Tuality patients or Pacific students, officials say. 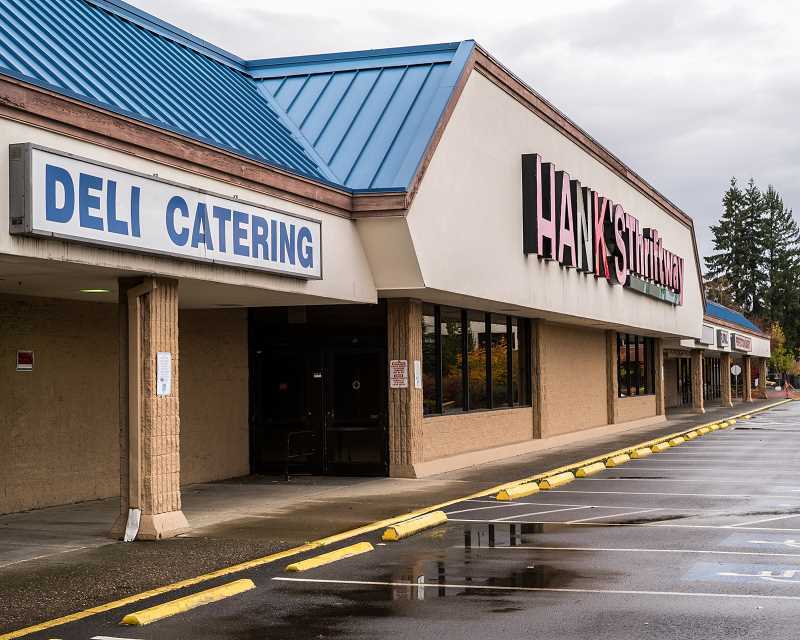 The eventual plans for the former Hank's Thriftway site in downtown Hillsboro are far from finalized, but city officials are working on a plan that could build not only market-rate apartments on the site, but potentially bring a grocer back to the area and offer a place to stay for Pacific University students and patients undergoing treatment at Tuality Community Hospital. This week, the city of Hillsboro unveiled some early concepts for the site after taking submissions from development firms interested in purchasing the property. Hank's Thriftway, which stood at 661 S.E. Baseline St. in downtown for more than 80 years, closed in 2015. The city purchased the property a year later for $4.8 million, with plans to redevelop the site into a mix of apartments and businesses. The city received three submissions last year from developers interested in building on the property, which the city has designated "Block 67." Of them, the response and concept from Project^, a real estate development firm based in Northwest Portland, was unanimously chosen by committee for the redevelopment project as its most preferred option. The plan tentatively calls for a mixed-use development on the property that will include 293 housing units, as well as ground-floor commercial space. Dan Dias, the city's newly named economic development director, told the City Council on Tuesday those apartments could include a mix of market-rate one- and two-bedroom units, as well as the possibility for partnerships with Pacific University and Tuality Healthcare. "A subset would likely be targeted to or have or direct conversations with Pacific to house students," he said. "Project^ has also had conversations to engage with Tuality as well. Is there a lodging component for patients and families at their treatment centers? That might be included as well." The project could "create something both feasible and additive but also something cutting edge for our downtown," Dias said. The developers have also said they're interested in bringing a grocery of some sort back to the site, though Dias said the chances of bringing in a large supermarket — similar to Thriftway — was unlikely. "The economic and financial feasibility of that is still being discussed," he said. "We recognize the importance of having a market there for our community, but we also recognize the challenges from an economic standpoint ... Project^ has said that they'd like to build a market, but that may not be an Albertsons or Fred Meyer, it could be more like a City Market in Portland or a Providore or some more urban-type markets." "It's a more high-risk, high-reward project, but it is worth pursuing," Dias added. City Manager Michael Brown stressed the Project^ concept was in very early stages of discussion. Final plans for the site could look dramatically different, he said. "We don't know any specific details," Brown said. "We will be working on these over the next several months. Where we ultimately land will depend on the outcome of the negotiations." Dias estimated more concrete plans for the site would be made available this spring or summer. "These plans are not necessarily where we are going to land, but their approach and mindset really resonated with our goals for the site," Dias said. Block 67 will play an important role in the downtown's growth, Dias said. "Having this significant piece of ground within the downtown Hillsboro area can play a critical catalytic role due to its location to the (MAX light rail and bus) transit stops, its immediate adjacency to not only to the Tuality campus but the Pacific University campus as well," he said. "And it helps with linking ... the Main Street district and the broader downtown as well." Next, the city will work with Project^ to refine the concept plan for the former Hank's site. That process will include public outreach, as well as determining how the project will be financed, Dias said. If plans move forward, Dias said, the city would sell the $4.8 million property to Project^ to begin development. A final sale of the property would need to be approved by the Hillsboro City Council. The other two developers that responded to Hillsboro's advertisement for Block 67 were Holland Partner Group, based in Vancouver, Wash., and Tigard-based Specht Development.